Gado-gado is a traditional dish in Indonesian cuisine, and is a vegetable salad served with a peanut sauce dressing, eaten as a main dish. It is widely served from hawkers carts, stalls (warung) as well as in restaurants both in Indonesia and worldwide. Gado-gado is part of a wide range of Indonesian dressing & salad combinations, along with with lotek, pecel and karedok. In many places, to retain authenticity in both the production and flavor, the peanut sauce is made in individual batches, in front of the customers. Compared to Western and Indonesian salads, Gado-gado has much more sauce in it. Instead of being used as a light dressing, the vegetables should be well coated in the sauce. The authentic gado-gado does not have carrot and tomatoes. Only the aforementioned vegetables are added to the dish. Note: the above is for Jakarta style gado-gado. 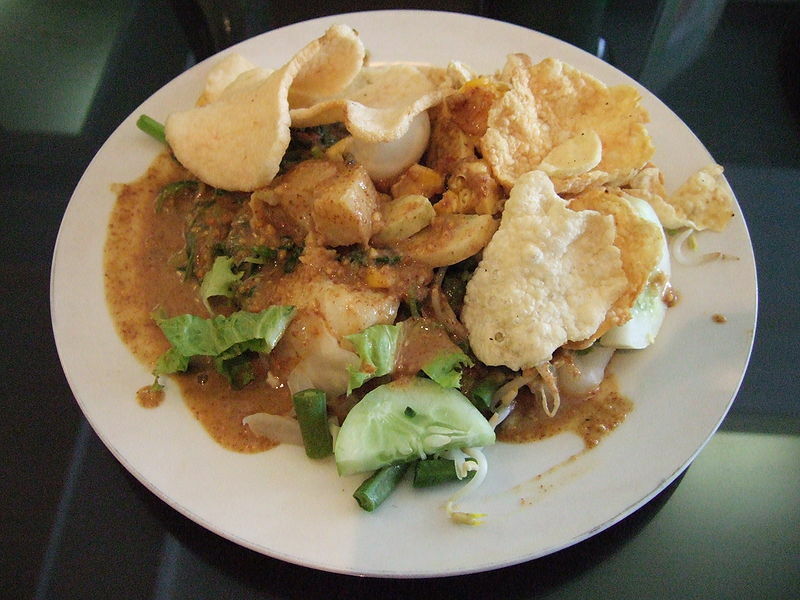 Gado-gado is always served with some kind of crackers, usually tapioca crackers, or also with Emping (Indonesian style fried crackers, which are made from melinjo). 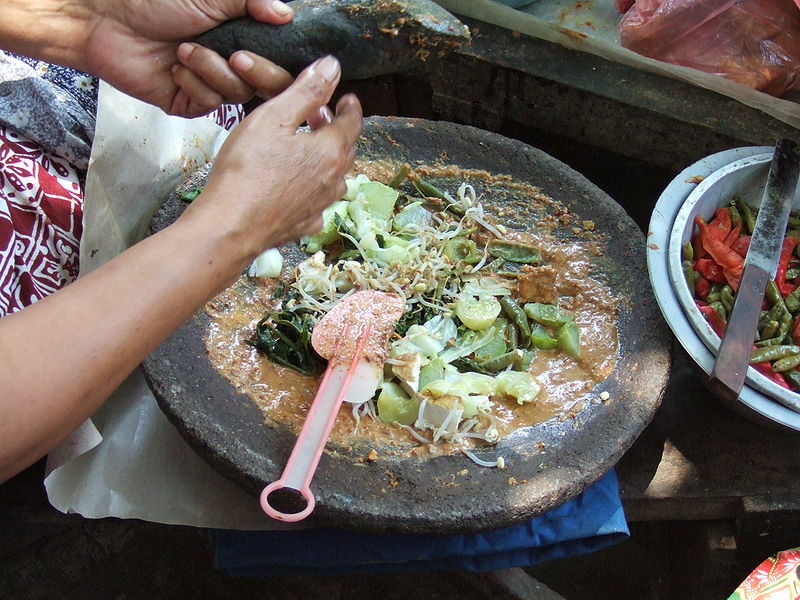 Left: A traditional Indonesian way of making gado-gado. In Indonesia, Gado-gado is usually served with rice or lontong (rice cake wrapped in banana leaf).